It is my worthless opinion that far too often people promptly dismiss these alleged UFO videos as CGI. Ok, granted, they MAY be CGI. But how are you making that determination with such certainty and no apparent hesitation? What are you comparing the footage to in order to weigh your opinion? I suspect you have seen so much CGI (maybe ONLY CGI) that you wouldn't recognize something that was "real", and even if it were real, you would not ever believe it (no matter what). 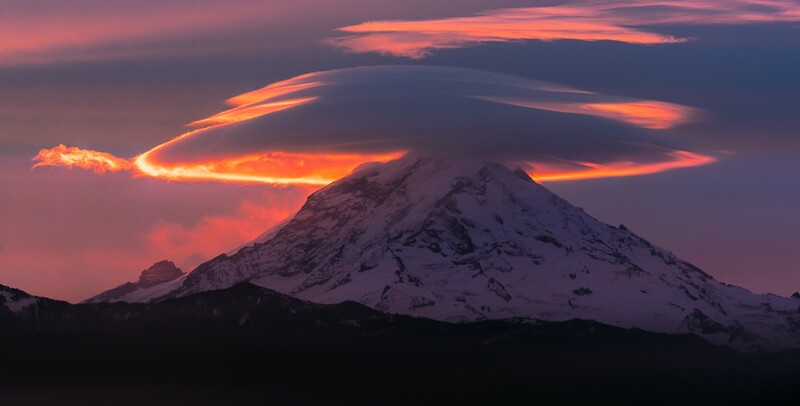 UFO's and other interesting phenomenon seem to "like" volcanoes. I've only had one or maybe two sightings of what I would consider "UFOs", and one of them was at the base of Mt. Rainier (dormant volcano) near the small town of Eatonville here in Washington state. This just so happens to be in the approximate area where Kenneth Arnold made his famous sighting. I don't have enough information from the posted video that I could say one way or another if the video is a hoax or something else. Thanks for posting it, though. If it hasn't it should have been , it's CGI , obvious at 20 seconds into the video. I like the sounds of the birds in the first video. It's the source of that old saying, "Why didn't the UFO cross the volcano?" CGI, around 24 sec in it stops and then starts, that was what convinced me almost 100%. so when anything stops, then starts moving, it's a cgi? are you insane or just trolling? Around 24 sec in, it stops, it does not look right, its almost a stutter. I should have made it more clear.